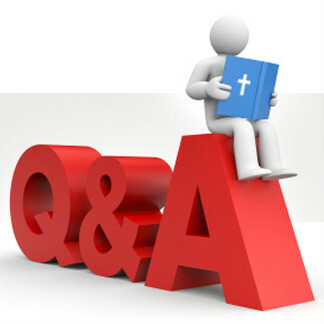 Q&A - Questions We Didn't Get To: Who Does God Love More? Does God love Israel more than Gentiles grafted in? God has and always will have a special love for Israel, from whom came the Messiah. But even in the Old Testament, God has displayed a love for the WORLD. And now, that special covenant love is due to the reconciliation to God brought by Jesus Christ (Ephesians 2:16, 3:6). Showing no partiality (Galatians 2:6), God loves all His people equally: Jew/Greek, slave/free, male/female (Galatians 3:28). How does God view Jews now? If they don’t believe Jesus was the Messiah & follow Him, can they get in to heaven? They were God’s chosen people in the Old Testament. No one gets to heaven without Jesus. The Bible is clear about that. Jews, Gentiles, Republicans, Vegans, Grandmothers, Businessmen, Good neighbors... Nobody gets to heaven apart from Jesus Christ.See Acts 4:12, Romans 10:9-10, and John 14:6. If you turn to Romans 9, 10, 11, you’ll see God’s Word all about the state of Israel. To answer these questions, focus on Romans 11. It says so much, but here’s the summary: There’s always a “remnant”, a population of the Jews with authentic saving faith. Romans 11:1 – there’s a remnant presently (including Paul – all the way up to Jews today who believe Jesus is the Messiah.) In 11:2-5, Paul reminds us that there always has been a remnant in v2-5. And Paul reminds us here, as is prophesied in the OT, there always will be a remnant (v25-27). And if you read Revelation, you’ll see one of the biggest players in the end times: the nation of Israel. While many Jews do not believe today, the day is coming when there will be mass revival in Israel. So past, present, future – God is at work in and through Israel. Yet they, too, must come to saving faith in Jesus Christ, their Messiah.